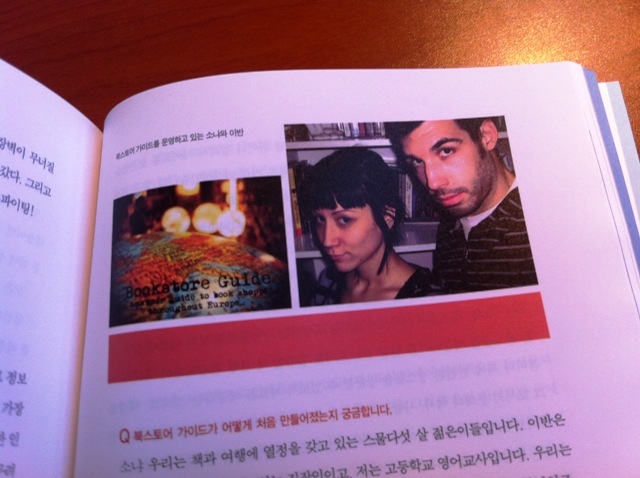 Bookstore Guide has been around for exactly five years... When we started the blog back in 2007 we had little idea if there were more people out there who enjoyed visiting local bookstores when traveling and who were eager to refill their backpacks with some fresh reading material. 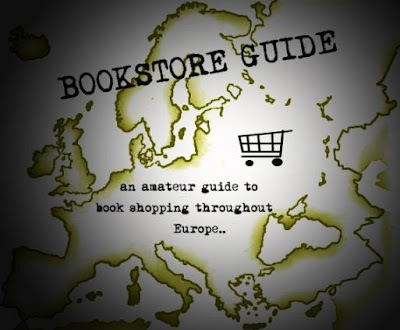 During the past five years you've made it perfectly clear that Bookstore Guide has found its own audience and thanks to you, we have discovered many great bookstores all over Europe. We've also gotten in touch with many interesting people and started several online friendships with fellow booklovers. Working on Bookstore Guide also helped us find the inspiration and courage to start our own bookstore in Bratislava, 11th Floor Books. This period has been quite difficult for independent bookstores and we also hope that a mention in the Guide has helped some of them spread the word about their existence and has brought in new customers. Initially, many of the bookstores didn't even have their own website and the post on Bookstore Guide was pretty much their only online presence. Over the years the Guide has grown from post number one (The American Book Center in Amsterdam) to include 243 bookstores in 103 European cities. According to data from Google Analytics, the site has attracted almost half a million visitors who logged in from all the countries in the world except for five countries in central Africa and North Korea. Besides regular posts about bookstores, we've also added some new sections. 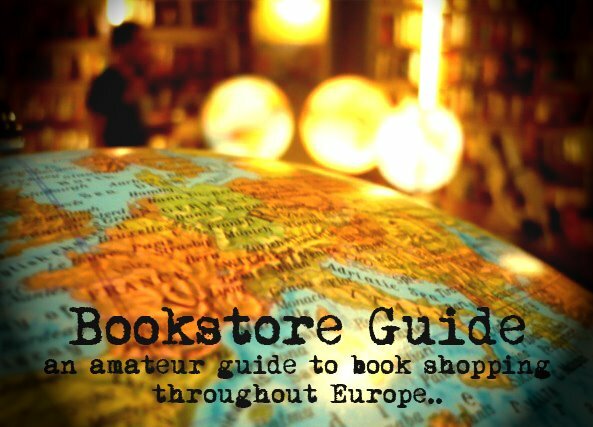 We started off with writing Reports from our bookstore hunting trips to bigger European cities and followed with Top 5s, our personal compilations of the best bookstores from the Guide in selected categories. Later on we also added the Articles section, which holds a series of articles on the current state of independent bookselling, several of them were written by guest bloggers. We also send out a monthly newsletter to which you can subscribe by filling your email address in the box in the left sidebar. Writing this post made us think not only about the past but also about the future of Bookstore Guide and although we are not happy about the present state of the site, it is a good opportunity for us to realistically evaluate where we'd like to see Bookstore Guide in the upcoming years and how to achieve it. We have several scenarios in our minds but before implementing any major changes we simply need to focus on some maintenance work - updating information about the existing bookstores and patching some errors on the website. The main goal would be to dedicate more time to the Guide, which will not be easy. As this Guide only serves some purpose if it has its audience, we'd also like to turn to you. If you have any comments, questions, recommendations or ideas about where you'd like to see this project heading in the near future, we would love to read them. exactly you give the all points that should have an ideal Bookstore.you also mention the list that is catalog. As an independent children's bookstore in Istanbul, Turkey (IYI CUCELER -translated as GOOD DWARVES-), hoe can we be part of your guide? I didn't recognize the shopping cart image because I am a brand new fan. I'll stick for the NEXT 5 years though. And on. If you have time, please check out my blog, associated with the bookstore riverrun, just north of NYC. I just posted a link to your guide.